Therapy can be very helpful for a gifted person who needs support to get back into a state of equilibrium during a difficult time or heal from past wounding. But there are other forms of support for gifted people who want to fully flourish and reach their potential in meaningful and joyful ways. In this article, InterGifted coach Miriam van der Valk shares more about the differences between therapy, coaching and mentoring, and gives us insight into the ways her own particular brand of coaching - philosophical coaching - supports gifted people in their own emergent flourishing. I remember the final session with my therapist – instead of reaching for her calendar, she looked at me and said, “Well, I guess you’ll call me if you need me.” Really? I walked home lifted, easy; lighter. I’m OK now. I’m fine. I called a friend, chatted about the good news: My therapist doesn’t think I need more therapy. She, the therapist, had really helped turn things around for me. I saw her during two periods – first when my daughter was very young and I started getting panic attacks (which turned out to be a ‘delayed trauma response’ to my dad’s long illness and death in my youth), and then again four years later (when I was going through a divorce.) She was an immigrant, bright, brave, and intimate with loss and ‘otherness,’ like I am too. She was different from the other therapists I’d seen in the various places I’d lived before; she talked about herself, giving examples and drawing parallels. (Quite a change from the clinical setting with the previous one, ‘Dr. S’ – I still don’t know her first name.) But her job was to take me from ‘minus’ (unhealthy) to ‘zero’ (healthy). To help me manage life and get through the day with some kind of equilibrium. I’ve had the urge to call her since that last session. Say, when I get scared; when it’s difficult for me to trust that things will be OK. With my overexcitable imagination, fear is intense. What is this intense fear telling me about my beliefs – how I think the world works – luck, chance, karma, God? I really benefit from talking about things like that. From thinking about them, out loud, with someone on the same standing, facing the same direction. It allows me to see the mechanisms and agents at hand. The interplay between my history, my situation, what I want to accomplish, and what I dread – all of that is made conscious. In dialogue, I can become aware of inconsistencies between my reactions and how I interpret them, and I can formulate a way forward for myself. But I don’t call her. That I get scared sometimes does not imply that I’m unhealthy, see. I’m not off track, or in need of someone to come and take charge of my life. Wondering about what it means to be a human being, about the meaning of life, of my life, is not ‘unhealthy.’ That’s philosophizing; looking for the wisdom in the situation. And that’s profoundly human. When I had finished my therapy that day, I had one big question in mind: What to do now? What follows here is an article on the differences between therapy, coaching and mentoring, and what each of them can offer as regards the gifted discovery and thriving journey. 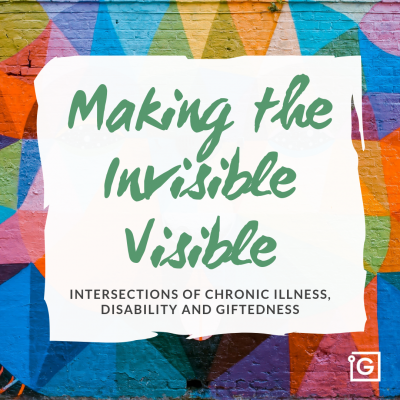 The article has been adapted especially for InterGifted’s blog and community. Enjoy! I’ll start by defining the terms – coaching, mentoring, therapy. Then I’ll have a look at the ‘philosophical’ in ‘philosophical coaching;’ how does philosophy infuse the coaching process, and what can a philosopher bring to coaching? And how, precisely, can philosophy benefit gifted people? Coaching focuses on work, outcomes, and roads ahead. Coaching uses creative future-oriented words such as building, constructing, and investing; and connects insight to action. It creates a setting for discussion, makes sure to follow up, and helps you become accountable and authentic – like a ‘fully functional adult.’ Coaching is about the present and the future. It’s about untapped potential. It focuses on capacity. And – always – the client is the expert and sets the agenda. The client officiates her goals; the coach guides the process of reaching them. For gifted people, coaching goals include better understanding of and authentically utilizing their gifted mind; finding or creating more suitable work; learning how to communicate about their unique inner mental process or gifted-specific needs, or putting their unique creative vision out into the world. (When coaching becomes philosophical, we focus as much on the Why as the How. Gifted people tend to not want to bypass the Whys). Mentoring focuses on growth and maturity – on life, lived fully. Mentoring serves to make visible and strengthen the client’s entire potential. The client is in charge of her goals as well as her process, and the mentor helps develop wisdom and understanding through observation and dialogue. Mentoring goals for gifted clients are broader than coaching goals, and focus more on absorbing the mentor’s experience in what it’s like to live in this world – and then to thrive personally, professionally, interpersonally – as a gifted person. (Mentor type partnerships are, perhaps, the secret hope and loadstar of many coaching relationships). A therapist can use coaching techniques if a situation calls for it, but a coach is not typically trained to do therapy. A therapist is an expert in understanding psychological functions. A coach, on the other hand, need not be an expert in psychology. She is there to help you mobilize your own qualities. She understands that you want and are able to choose and act with authenticity and integrity. Sometimes you need both therapy and coaching in parallel, depending on where you’re at. Sometimes the desire for coaching emerges only as the need for therapy phases out. A therapy setting is a clinical setting and should remain that way; a coach or mentor can meet you in a café, if you like. Coaching, mentoring and therapy still have much in common: We all want change. We’re about reflection, examination, discovery, learning, progress, and dialogue. We’re all about allowing the client to be active in their own development. The client is in focus, and in charge of their own process. (In coaching and mentoring, the client knows this from the start.) Coaching is not therapy – but it can have ‘therapeutic’ effect. Philosophy-based coaching is not opposed to psychology-based therapy – rather, it answers to a different need. As a philosophical coach and mentor, I love the idea of self-directed, life-long learning. Of Socratic questioning. Eudaimonia. And entelechy; the transformation from potential to actual: Seeing the oak in the acorn. Philosophical practice, to me, is empowerment. How we do anything is how we do everything, right? We ask, ‘What sort of life constitutes human flourishing?’ (That is, your human flourishing.) We let our own thinking surface; we allow our own solutions to be found. And we think aloud, together, making the dialogue itself a guarantor against self-deception. We dare to finish our thoughts. There is active listening, mirroring, and curiosity. Clarification and loosening of knots. Some tying too, maybe. “The true meaning of life,” wrote Viktor Frankl, “is to be discovered in the world” rather than ‘within’ you, or within some closed system. To find it, we must experience, create, and engage with the world – but we won’t all do it in the same way. To establish one’s own best way of interacting with the world requires work on both integrity and authenticity; inner experience and outward expression. This isn’t always automatic for gifted people, and often takes some years of finessing toward mastery. We look for the seeds. The map and the track. A lantern if it gets a bit dark, or if we trip over some unformulated psychological history, for instance. We are by our very essence interpretative beings, as Hans-George Gadamer might have put it. He talked about the ‘fusion of horizons’ that can occur when we understand another person. Understanding, he said, is not something we create – it’s something that melts; fuses. The philosophical coach is trained in Socratic dialoguing, meaning searching for essentialities in a reflective, egalitarian way, so that we may see that spring brook of melted snow. We look for the umbrellas too; the overarching principles. We show, tell, suggest and stimulate. We focus, like Gerd Achenbach said, on the life that strives to become thought. And we’ll be especially curious about anything that presents itself as correct, decided, final, given – in short, anything that evades inquiry. Practicing philosophy in coaching and mentoring is permitting and holistic – we practice rigor and aim for lucidity in all that we do. We wander. We go by trial and error. Emotions, for instance. We’re not doing therapy, but surely our emotions are telling us something. Possibly something very important. “An emotion,” writes Robert Solomon, “is a self-aware engagement in the world.” He continues, “What characterizes … most emotions is their intelligence, their insight, their attunement to the world.” Indeed! Emotions are not just phenomena to be analyzed and understood; they lie at the very heart of ethics, determining our values, focusing our vision, influencing our very judgment, giving meaning to our lives. A strong emotion is an indication that a situation requires some looking into. Do you feel grief, rage, anxiety? Might we then ask, ‘Which life goals, right now, do you feel prevented from reaching’ – what are these emotions telling you? Even unpleasant emotions can be viewed as friends on a mission to help you out. 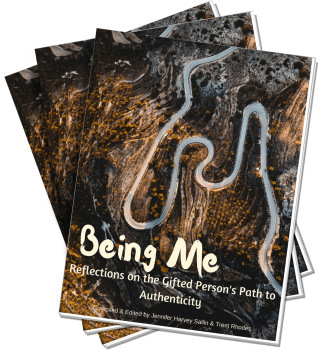 Are those emotions connected to your giftedness journey, lack of recognition, struggle to ‘be yourself,’ sense of underachievement or imposter syndrome? Even those are helpful friends on the journey. And what about the other way around – how do your thoughts affect how you feel? In your internal dialogue when facing adversity, for instance; who says what? Are your opinions and values internally consistent (as a philosopher trained in logic might put it?) By the way, how would you discern critical thinking from negative thinking? Sounds like something well worth looking into. Especially if you find yourself veering more toward negative rather than constructive critical thinking; and especially if you are prone to gifted overanalysis and analysis paralysis. We examine self, others, work, love. Values. (Do you know your values? Are you sure they’re yours? Should we double-check; do an inventory?) Vision and mission. Motivation. Obstacles. Joy. Creativity. Rest. How has your giftedness determined these factors for you? Have others in your life encouraged you to live them out in ways that feel exciting, real and true to you? If so, we celebrate. If not, we inquire toward creating contexts in which you are encouraged to follow your own star, even if that star is at a point rather far away from the main cluster most people see. In philosophical coaching, we’re not limiting ourselves to a particular theory or method. 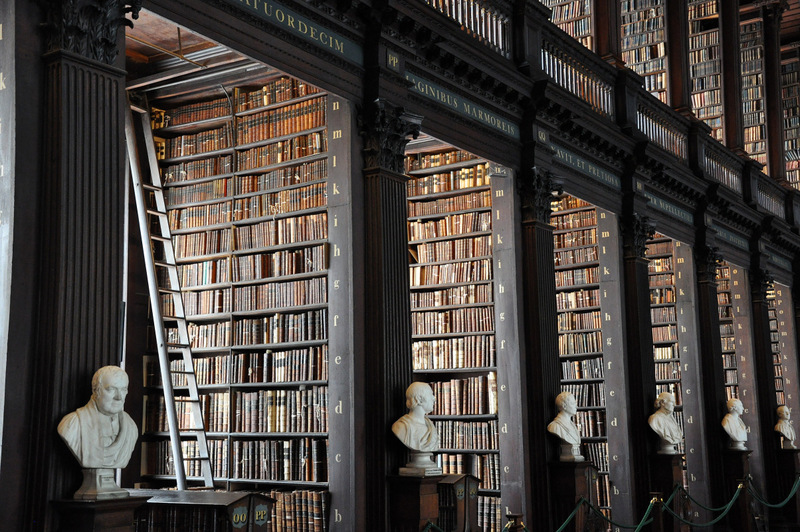 Our toolbox comprises the entire history of philosophy. The ‘philosophical’ in philosophical coaching lets you devote space to questions of meaning: Its focus is on developing the ability to think well – to think with resilience, intellectual curiosity and imagination, all for the purpose of integrated and dignified living. Thinking with life-affirming virtue. 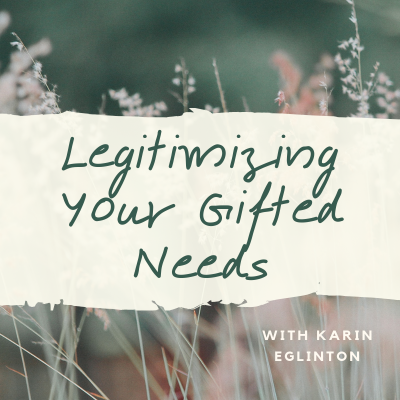 Some experts on giftedness say that we should teach gifted kids more about precisely that: How to think well – how to understand and effectively direct and manage our own thinking – rather than focusing exclusively on impersonal facts and figures. Epistemology, a discipline traditionally concerned with questions about the nature of knowledge; differences between knowledge and opinion, etc., becomes a practical activity in philosophical coaching – it concerns the problem of what to do. If everybody who mattered to you automatically supported everything you did, what would you do? Can we use these ideas for your philosophical future? It is the courage to continue that counts, like Churchill said at some point. Our job in philosophical coaching is to find a way to continue, and to do it gracefully. What is it they say – 80% of success is turning up? Philosophical coaching can be a deep and powerful tool on your way towards the eudaimonia – flourishing – that you are surely meant for. Coaching can start when you’re ready to secure an upright position, a proud posture; to integrate insights and find authenticity in what you want to do in life. Insights without practice are not effective. Process, activity, and movement are crucial elements of being, as Erich Fromm pointed out – the active, alive person is like a “vessel that grows as it is filled and will never be full.” The active, alive person is boiling, birthing, flowing in and beyond oneself. Running to peace. What a nice image. “Health,” wrote Frankl, is based on a certain degree of tension “between what one is and what one should become.” It calls to mind Dabrowski’s Vertical Tension. Perhaps ‘health’ viewed this way is analogous to entelechy and eudaimonia. Do you see a mountain ahead, a big climb indeed, because you know that you could be so much ‘more?’ Do not despair – that’s a very good place to start coaching. Philosophy is about asking questions. But philosophy is also about hearing, and answering. “Man should not ask what the meaning of his life is … rather, he must recognize that it is he who is asked,” Frankl continues. And we can only answer by answering for our lives; only respond by being responsible. Everything is talking to you – life, the world – and to philosophize is to respond. Then you can see the oak in your acorn. What we are doing in philosophical coaching is, in a way, creating pasts for our futures. We create realities: potentialities actualized, meanings fulfilled, values realized. 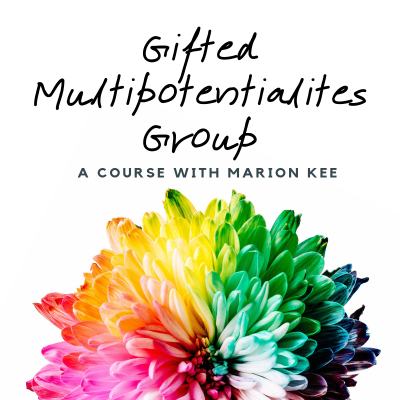 For gifted people on their self-development journey, I couldn’t think of a better form of collaborative support. Where are you on your journey? A solo moment? In need of therapeutic support? 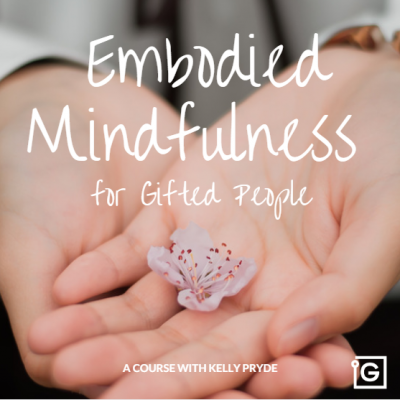 Ready to embark on the (perhaps philosophical) journey toward realizing your potential and fully stepping into the you that you will become when you are fully supported to be your most authentic (gifted) self? Or looking for a mentor with whom to share and co-create? InterGifted can be of support wherever you are. Learn more here or reach out to get connected with one of our coaches or mentors(including me, if we're a good fit!). If you feel you need a therapeutic approach, we can assist you in finding a therapist in your area who knows about giftedness and can support you through this part of your journey. Or if you are going solo, consider sharing your journey with us in our supportive peer community and via our community events. Being who we authentically are, in community, is a fundamental aspect of nurturing our continued positive evolution as individuals, and potentiates aspects of our future that require a social ecosystem of accurate mirroring and enthusiastic support. We look forward to getting to know you and sharing a part of our journey together! Try Robert Nozick’s daydreaming ideal utopia thought experiment for five minutes. If there was a machine that could connect to you brain to give you any type of experience – what would it be? 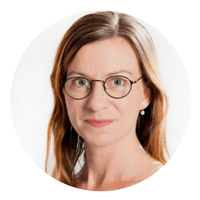 As a philosophical coach with InterGifted, Miriam supports gifted people who are working their way through a metamorphosis to find their full flourishing. She lives in Sweden and coaches people around the world in English or Swedish. Feel free to reach out to her for a complimentary intro call to learn more.